And it’s back to finishing this one. 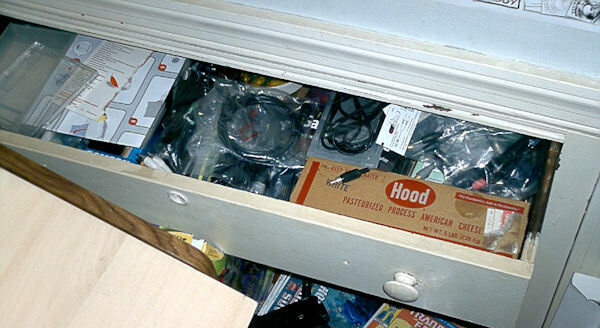 Some time ago I took my computer supply drawer and made it easier to go through and find things I wanted. This week’s project was step two, going through and make some space. There were a lot of things I ended up throwing out, and some stuff I kept, while other stuff I grouped together. Let’s go through this week’s project. Question: Why do I have instructions from a computer two computers back and a scanner I couldn’t use once the company stopped making drivers for new operating systems? Answer is I’m now not. Although there are a few manuals I want to see if I can get some money from. You’d be surprised how many people buy old things and don’t know how to set them up and use them, including Windows 95 and the like. 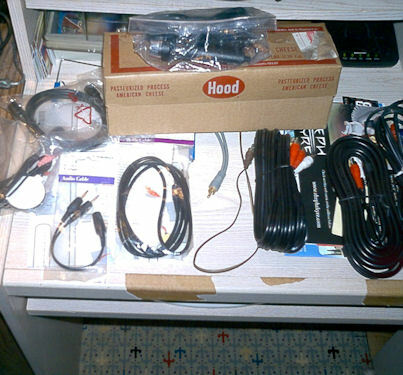 The RCA type cables could surely find use with my video projects and stuff. The RF connectors and cable TV wires…I’m not sure. I put that stuff away where I could find it but buried until I have time to look into that. 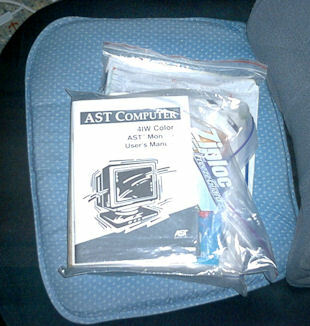 The cables I can use were put into a huge plastic storage bag. I also did that for some old microphones I have until I have a chance to see if they work. I bought a Roxio Game Cap for Video Game Clutter. It was the older version that you could record HD systems but they would come out in SD, so I figured I wouldn’t have any problem with recording older game systems. I was wrong, but I want to see what will happen with that so I kept it in the package. (I do have access to a video capture device for VCRs that I think will work better but I needed splitters so I could still record to the computer and yet watch on the big TV. I hope to finally have a review done before the end of the month–barring another crisis, of course.) The same is true for a leftover USB cable, to keep it protected. (It’s one of those that lights up so you know it’s working.) Otherwise I cleaned up a lot of junk this round with some things I may get rid of in the future on “the list” as it were. And yet, still work to go. Sometimes I realize just how long I let this place go.